Last night I was sitting on the couch. Both boys had just laid down to go to sleep. I said to Daddy, "Did you hear about that guy from Ghostbusters passing away?" Daddy said, "Which one? There are tons of people in Ghostbusters." I said, "I know what he looks like, but I forget his name. Hold on..."
Mica piped up and said loud, "I hope it wasn't Harold Ramis!" I said, "That is his name Mica. How did you know his name?" Mica said, "Mom I know a lot about our DVDs. I've read all the covers. Harold Ramis was one of my favorites." Mr. Smarty Pants is going to be a movie buff. Then this morning Mica said to Isaak, "Did you know that Harold Ramis died yesterday Isaak?" Mica described him to Isaak. Then he proceeded to list off all the other actors names from the movie. He said them all right, but pronounced Sigourney Weaver's name funny. It's a difficult name to say. 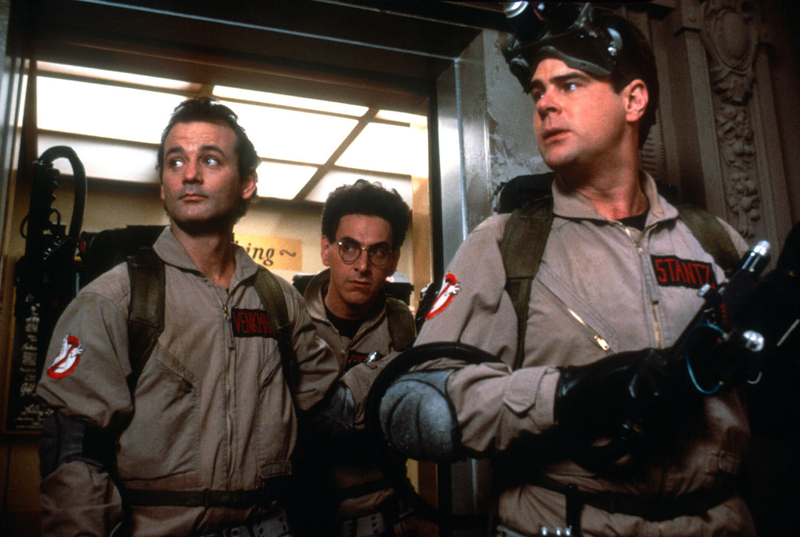 What's your favorite movie that Harold Ramis played a part in making, or acting? Mine isn't a common one. It's Stealing Home. It stared Jodie Foster, Mark Harmon and William McNamara (who I had a serious crush on). I remember Stealing Home. That WAS a good movie, but it's Ghostbusters that I really think of when I think of him. Was that the guy who played Egon? I would have to say Ghost Busters, just because that is the most well known Harold Ramis movie. I am not a big movie buff, but my husband is. He knows the names of nearly every actor and actress in Hollywood and what films they starred in. Have a terrific Tuesday! I am a HUGE Ghostbusters fan, so I am very sad about his death. Ghostbusters...my gosh...there were time when we have one of our local TVs playing that movie again and again...I like that! I just notice Harold Remis passed away last week..RIP..
You know... I have never watched the Ghost Busters. I just am not much for watching movies. Oh my gosh I had no idea that Harold Ramis had died?? That makes me sad. I loved Ghostbusters. Honestly, I don't know what else he was in, but I do love Ghostbusters. We just watched it not too long ago with our girls. Such a sad passing. I forgot all about Stealing Home until you mentioned it. I LOVED that movie! Whatever happened to William McNamara? I was saddened by Ramis' death as well. But I love the conversation Mica had with his brother. It always amuses me when my kids have adult-sounding conversations. William McNamera has been in NYPD Blue and Law and Order. I will he'd step up his rolls in movies! that isn't harold ramis in the photo though - for stealing home...it is jonathan silverman.